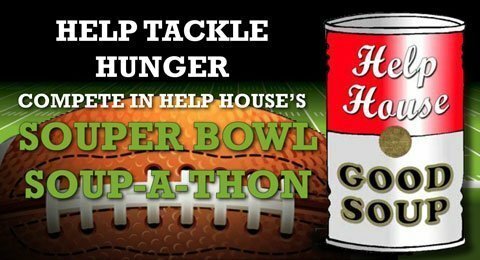 It is time for Help House’s Super Bowl Soup-a-Thon. The challenge goes out to any church, group, or organization to see which can collect the most number of cans of soup and boxes of crackers between now and Feb. 5 before the Super Bowl on Feb. 7. Making this a fun competition between different schools or school organizations or between church groups is a great way to get ready for the Super Bowl and help others at the same time, so start collecting now to be the winner this year. Please make sure when donating any food item that it is not out dated. The winner of Help House’s quilt raffle held during November and December was Ann Hladky, of Topeka. The fundraiser for the food pantry brought in $1,485. The Lyndon Lions Club donated four bicycles that had been restored to like new condition by prisoners at the Leavenworth Federal Prison. Parents or guardians could register to win one of the four bikes. Names were drawn at noon on Dec. 17, and the winner of the 26-inch girls bike was Kari Crummy, of Lyndon; the 26-inch boys bike went to Rene’ Marsh, Melvern; Brice Marsh, Melvern, won the 16-inch girls bike; and Emma Marsh, Melvern, won the 16-inch boys bike. Brice Marsh donated the 16-inch girl’s bike back to Help House and it was given to a very surprised young lady. The holiday season is always super busy. In November, director Pam Bilyeu and a couple of volunteers traveled to Arrowhead Stadium to pick up a donation of several boxes of chicken from the K.C. Chiefs and Tyson’s that is distributed each year to non-profit agencies. Help House has been receiving this generous donation for nearly 11 years. For Thanksgiving, 70 food boxes with either a turkey or a chicken included were given out to those who had signed up. At Christmas an additional 70 food boxes were given out. Those signing up could choose whether to receive their box at Thanksgiving or Christmas. During the Christmas holidays, there were 44 children that shopped for their parents or guardians at the Christmas store that had been set up just for them. Youth and adults from the Lyndon and Melvern Methodist churches volunteered as Santa’s elves, who helped the children “shop”, then escorted them to other elves that wrapped each gift for them to take home. Following the children’s shopping day, volunteers restocked the store with donated toys and games, clothing, hats and gloves for the 123 parents, guardians, grandparents and individuals that shopped for family. Names were cross referenced with ECAT and ECKAN to ensure need. Thank you to ECKAN for donating toys and other items they had left over from their Christmas give away. During the holidays, Lyndon Elementary Middle School donated more than 750 pantry items, Lyndon High School brought in 50 gift items for the Christmas Store, Osage City Middle School held a coat drive, Santa Fe Trail schools held a food drive, and numerous donations were given by churches and individuals. Without all of the generous donations we would not be able to serve all those that we do. The Salvation Army donation envelopes that were placed in the Osage Herald Chronicle during the Christmas season brought in $359.82. 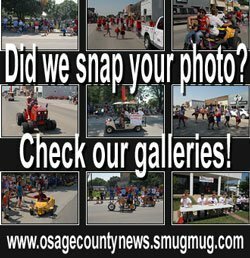 This year Help House volunteers placed the Salvation Army counter kettles throughout Osage County, while numerous volunteers were seen ringing bells at the large donation kettles during the Burlingame Country Christmas, Lyndon and Osage City Christmas parades. They also rang bells each weekend during December at Jerry’s Thriftway, Osage City, and Overbrook and Carbondale Thriftway’s. 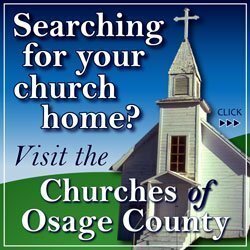 The total funds raised in each community through bell ringing and counter kettles are as follows; Burlingame, $283.28, Carbondale, $1,542.37, Lyndon, $740.72, Melvern/Quenemo, $140.43, Osage City, 2,436.35, Overbrook, $1,843.46, Scranton, $131.88, Vassar area, $157.98. The goal for the campaign was set at $5,000. 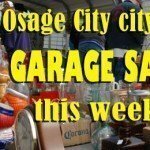 A grand total of $7,636.29 was generously donated by Osage County residents, far exceeding the goal. These funds are distributed through Help House as a representative of the Salvation Army. Last year more than $5,600 was paid out in the form of vouchers from Salvation Army to assist with gas, utilities, rent, prescriptions and medical expenses. The “Good Sense Budget Course” is being offered again from 8 a.m. to 3:30 p.m. Saturday, Jan. 28, 2017. This will be just a one-day course. Individuals completing the class will be eligible to apply for assistance to help with heating or cooling costs. Assistance is provided on limited bases for any heating source, whether it is gas, electric, propane or wood. You must come into Help House to pre-register and pick up your information packet, which includes pre-course work to be completed before the first class. Call 785-828-4888 for more information. Beginning Jan. 1, 2017, Help House is open on the second and fourth Saturdays instead of the first and third. This will allow us to better serve the families and individuals receiving emergency food assistance. We would like to extend a heartfelt thank you and expression of gratitude to all that have donated to Help House this past year. Due to lack of storage, Help House is no longer accepting televisions. Help House is at 131 W. 15th St., Lyndon. For more information, contact Help House at 785-828-4888, or email o[email protected].